The problem with a gaming platform that relies entirely on the internet is that it relies on the internet. 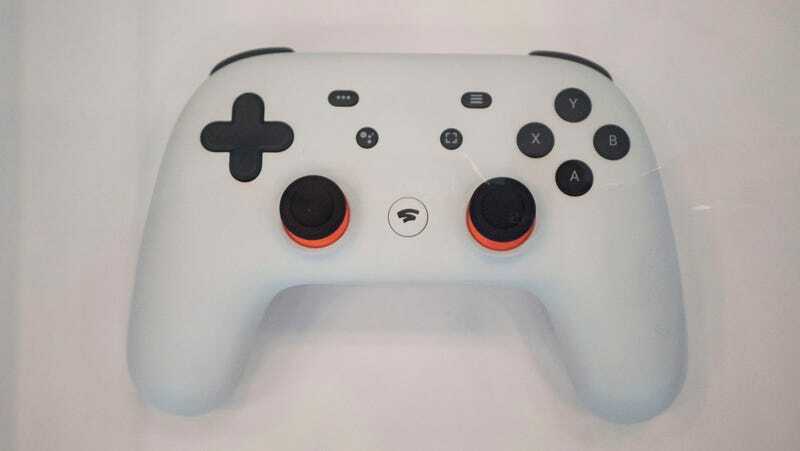 Stadia, Google’s new streaming game platform, will require that users have a robust internet connection to work, and that’s a big problem. “It’s what has plagued game streaming from the beginning,” said Pat Moorhead, Principal Analyst at Moor Insights & Strategy. A game streaming service simply can’t work if there’s lag. And in America, there’s a lot of lag. Sitting in the room for the announcement in San Francisco, just a few rows behind big names in gaming like Ubisoft’s Yves Guillemot, and AMD’s Lisa Su, I found myself struggling to connect to the internet so I could report on Stadia. There were hundreds of people packed into the room, and the GDC wifi had slowed to a crawl. Even when I switched over to my hotspot and plugged directly in I struggled to get 1 Mbps download speeds. Here we were at one of the most connected conferences in one of the most connected cities, and I couldn’t even send a Slack message. Forget streaming a game like Google gamely did on stage. But both Rodriguez and Moorhead were optimistic that Google could pull some rabbit out of a hat. No, the company won’t suddenly be providing low-cost, high-quality internet to the bulk of the U.S. (it can’t even do that for the few towns it launched Google Fiber in). Instead, both point to Google’s ability to push a lot of video down a pipe on YouTube. If anyone can solve the streaming hurdle Stadia faces, it’s the company that made YouTube a video streaming giant. It’s a problem that won’t be easily solved with an algorithm or AI (though both could certainly help matters), and it makes Stadia look awfully unappealing next rumored services offered by Microsoft and Sony with their next generation consoles. Why on earth would I drop cash to play games on Stadia, when I can get a console that will stream my games in the instances I do have really good internet, but also let me download the more bandwidth intensive ones when I don’t?